Denon, a leading manufacturer of premium home and personal audio products, is delighted to unveil its HEOS 1 and HEOS 1 Go Pack, the latest additions to the HEOS wireless multi-room music system. The portable HEOS 1 wireless speaker is the first product in the series intended for both indoor and outdoor use. The HEOS 1 Go Pack extends the usability and features of the HEOS 1 for consumers who want to take their music anywhere. 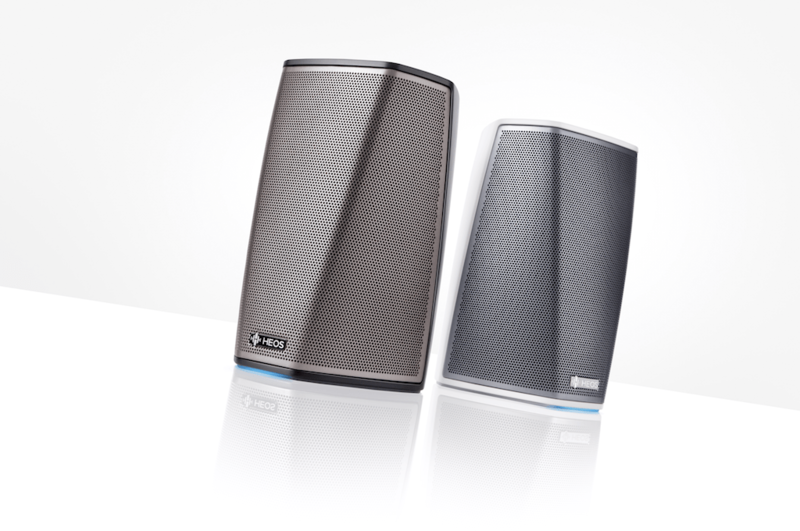 These latest additions to the Denon HEOS series will be available in June. The £199 HEOS 1 packs all the best features of the HEOS series into a diminutive yet powerful package. Implementing Denon’s extensive knowledge of digital sound processing the HEOS 1 is finely tuned to deliver clear and expansive audio. Furthermore, the HEOS 1 has been specifically designed to incorporate audiophile-level synchronization, so that two units can be combined to make a powerful stereo pair with no echo between the two speakers. The £79 HEOS 1 Go Pack is an accessory pack consisting of a rechargeable battery, a Splashguard, and a Bluetooth®-USB adapter. The HEOS 1 can provide up to 6 hours of music and entertainment, with the Go Pack’s rechargeable battery. The HEOS 1 speaker itself is humidity resistant, yet with the addition of the Splashguard it becomes splashproof for added protection at outdoor events that may occur in the rain or poolside. And for those who enjoy Bluetooth capability, the Go Pack’s Bluetooth-USB adapter allows the user to stream Bluetooth audio directly to one HEOS 1 speaker. In addition, when Wi-Fi is available, the Bluetooth audio can be shared with other HEOS devices. Denon®, a leading manufacturer of premium home and personal audio products, is delighted to unveil its HEOS 1 and HEOS 1 Go Pack, the latest additions to the HEOS wireless multi-room music system. The portable HEOS 1 wireless speaker is the first product in the series intended for both indoor and outdoor use. The HEOS 1 Go Pack extends the usability and features of the HEOS 1 for consumers who want to take their music anywhere. These latest additions to the Denon HEOS series will be available in June. Benefiting from Denon’s revered class-leading sound quality, the £199 HEOS 1 packs all the best features of the HEOS series into a diminuitive yet powerful package. Implementing Denon’s extensive knowledge of digital sound processing the HEOS 1 is finely tuned to deliver clear and expansive audio. Furthermore, the HEOS 1 has been specifically designed to incorporate audiophile-level synchrinisation, so that two units can be combined to make a powerful stereo pair with no echo between the two speakers. With the easy to use free HEOS app, set-up means great sound within minutes for indoors or outdoors. It is the perfect speaker for a smaller room or any smaller space in a home. And with the Go Pack, HEOS 1 expands into a fully wireless speaker that takes multi-room listening outdoors. 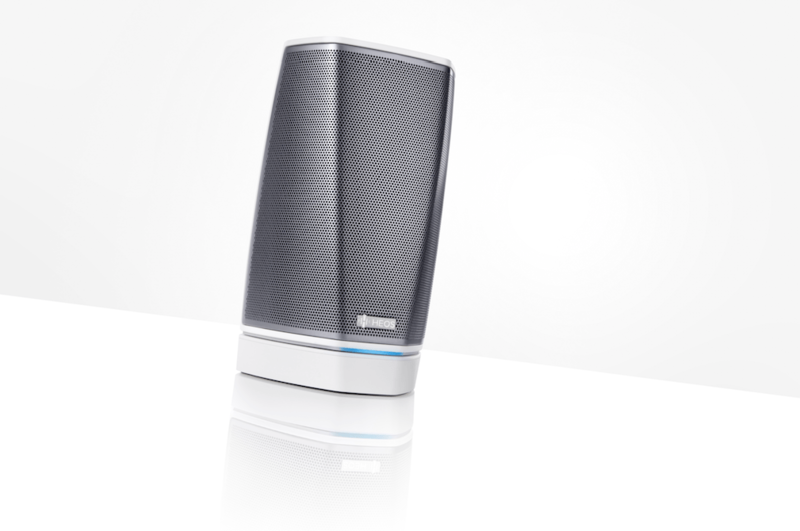 HEOS brings Denon-quality audio to any – or all – rooms in the home by easily connecting to an existing Wi-Fi network via the HEOS app, which is available for iOS, Android™ and Kindle Fire™. The­­ system delivers users’ favorite music from the world’s leading music services like Spotify®, Deezer, Napster and TuneIn, as well as smart devices, PCs, Macs or NAS drives on any home network. It instantly gives users multi-room audio control at their fingertips. Command music in every room from any device, by grouping several rooms together to play the same song or a different song in every room for a true wireless multi-room audio experience. You can PRE-ORDER HEOS 1 now and receive 50% off the HEOS Go Pack, from participating stores. For more information please ask in store. Besides the HEOS 1 and HEOS 1 Go Pack, the Denon HEOS series includes three other wireless multi-zone music players: HEOS 3, HEOS 5, and HEOS 7. The HEOS Amp and HEOS Link allow you to integrate legacy systems into the HEOS eco-system. Also part of the series is a Wi-Fi range extender HEOS Extend. The Denon HEOS series is available at select Denon dealers in-store and online. In the future, the Denon HEOS series will continue to expand with new and innovative products. For more information visit www.denon.co.uk.